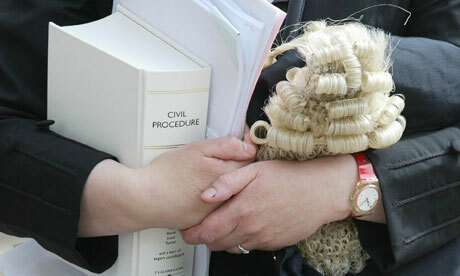 There are a variety of reasons why a law degree is sought after. For starters, the prestige of going to a law college is pretty high, lawyers are still a very respected profession. It is one of the solid career paths like being a doctor or engineer, that carries respect and has long traditions. This is a level higher than other careers, even if they are also high paying. A lot of people take a law course while doing their bachelors and decide they want to get a degree in law. Either because they want to help people, or they find it interesting. Many people have no knowledge of how the legal system works until they take a course in college. This is because most high schools do not offer this, and knowledge of obscure laws is not commonly known. Many people start out with a bachelor of law, to get the ideas flowing and to get prepared for law school. This is the case with people who are destined to be lawyers, often when other lawyers are in the family. Another way people pursue knowledge of and careers in law are people who get a certificate in legal practice. This can allow them to break in a career, being a paralegal or other person in law. These careers can also be very lucrative and interesting, with a lot of research and learning interesting things. It is also known as a CLP. One of the biggest reasons people pursue a law degree is money. Lawyers on average generally have a pretty good, reliable, and stable salary. Not only that, but many trial lawyers have hit it big. This is in the case of class action lawsuits against pharmaceutical companies or even food companies. One good trial can make a lawyer millions, enabling them to pursue other ventures, or work on more interesting cases. Another reason law education is sought after is, many people want to help defend people or ideals that hold dear to them. Many young students want to overturn the death penalty, make gay marriage legal, or defend people who simply do not have money. These are the people who want to make a big difference. Many times lawyers start out by helping out social causes, then move on to making big money. Or some do the opposite and make a lot of money in their first years, then moving on to pro-bono and social causes.